Why use a silica nutrient for hydroponic plants? Hydroponic plants are often susceptible to leaf wilt and bud rot, especially when exposed to heat from HID lamps. 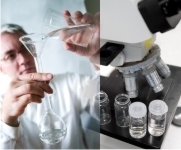 Silica strengthens plant cells to help prevent limp or weak growth. FloraMax Silica is highly stable and concentrated, and is readily absorbed by plants. Silica should be applied to an existing nutrient solution and used throughout both veg and flower. Background: Silica, known chemically as silicon dioxide (SiO2), is the chemical form that silicon (Si) adopts in aqueous solution. Silica is NOT the same as silicon. Silicon is the stuff computer chips and car polishes are made from. Heat stress with HID lighting: FloraMax Silica is very effective for combating leaf wilt during summer heat. Prevention treatment is best done by applying Silica as a foliar spray. This typically allows plants to endure ambient grow room temperatures upwards of 40 deg C (104 deg F). Foliage remains rigid and turgid so that photosynthesis can continue unaffected. 1. 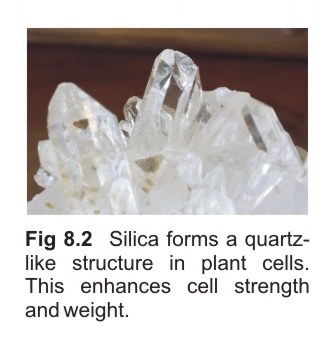 Silica produces healthier and stronger plant growth. 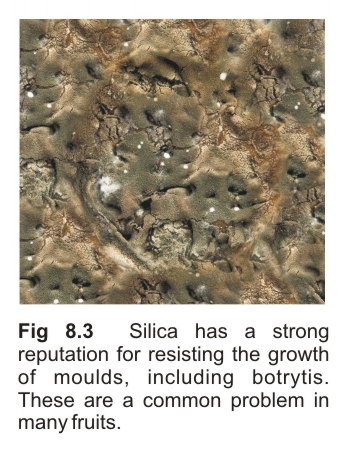 When silica is taken up by the roots, it is deposited in the cell walls of the plant as a solid, rigid ‘quartz-like’ matrix. This produces a ‘mechanically’ stronger plant which enables superior leaf orientation and therefore greater rates of photosynthesis and growth. 2. Increases the weight and shelf-life of fruit due to the physical accumulation of silica in plant cells. 3. Increases plant tolerance to heat stress or “wilting”. 4. Increases resistance to fungal diseases, particularly mildews and botrytis. It resists fungal ingress by accumulating around the points of fungal attack. 5. Improves the healing rate and neatness of pruning wounds. This property is especially beneficial in commercial cropping of plants such as tomato and cucumber. Regular pruning of these species threatens the plant’s survival due to the risk of disease penetration through the site of the pruning wound. 6. Increases a plant’s tolerance to nuisance chemicals such as sodium and chloride. For more see page 40 of the FloraMax Hydroponics Manual.